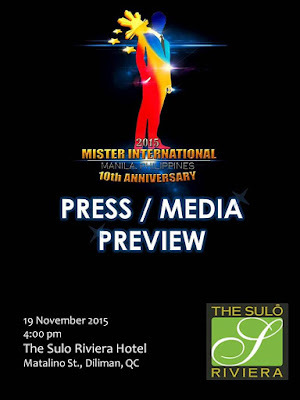 Prime Event Productions Philippines Foundation, Inc. (PEPPS) together with Philippine Airlines will be hosting the 2015 MISTER INTERNATIONAL Pageant in the Philippines from November 17 to December 2. 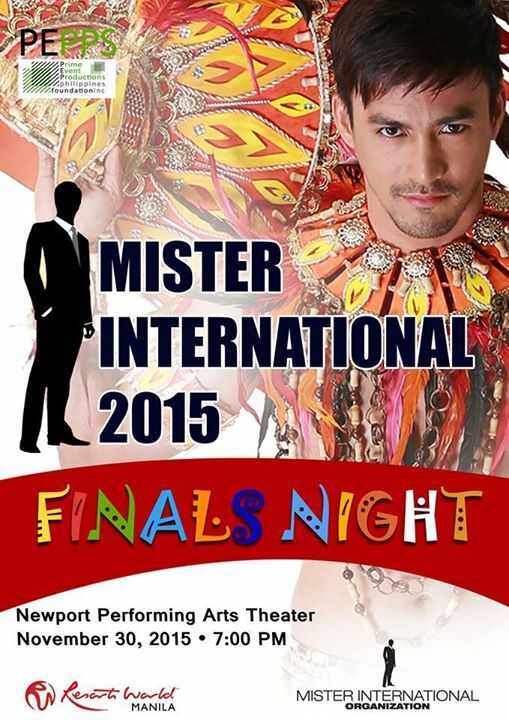 The Pageant Finals is scheduled on November 30 (8-10pm) at the Newport Performing Arts Theater in Resorts World Manila. During the pageant period, contestants and their families, guests and friends will get to enjoy the sense and sight, as well as the warm hospitality and generosity that the Philippines is renowned for. MISTER INTERNATIONAL is one of the two largest male pageants in the world in terms of the number of national-level competitions, and one of the most anticipated male pageants worldwide. Almost 50 contestants from around the globe will be competing for the title that is currently held by our very own Neil Perez aka Mamang Pulis, MISTER INTERNATIONAL 2014. 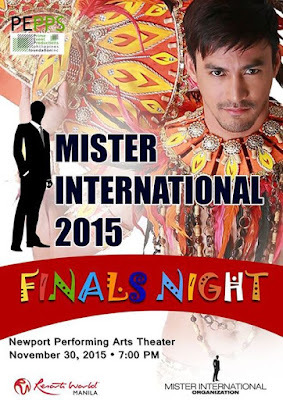 The MISTER INTERNATIONAL Pageant is owned and produced by the Mister International Organization that provides an international platform through dedicated partnership with charities, sponsors, and brands around the world. During his reign, the Titleholder is given the tools to personally and professionally enrich others by providing humanitarian efforts to affect positive change while developing his personal career goals.